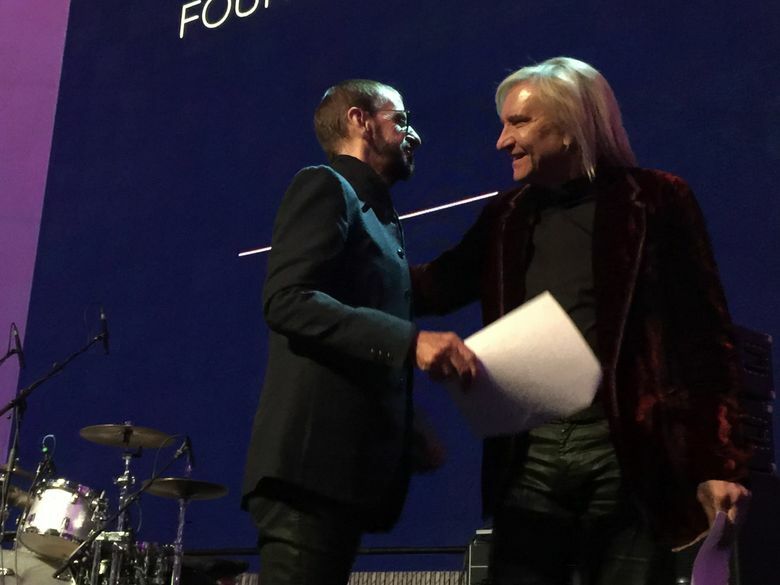 As snow swirled in Seattle, rocker Joe Walsh was feted by the likes of Ringo Starr, Dave Grohl and Taylor Hawkins of the Foo Fighters, guitar marvel Kenny Wayne Shepherd and rocker and producer Todd Rundgren as he received The Founders Award at the Museum of POP Culture. 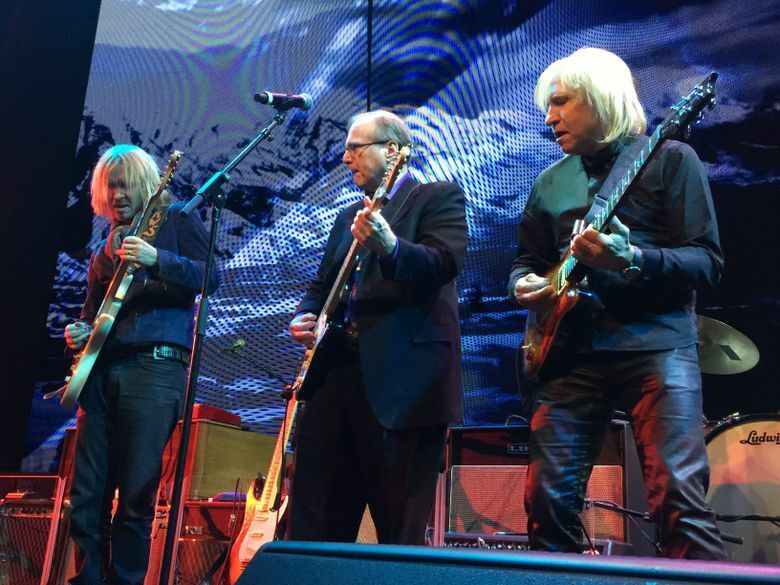 Life has indeed been good to rocker Joe Walsh. 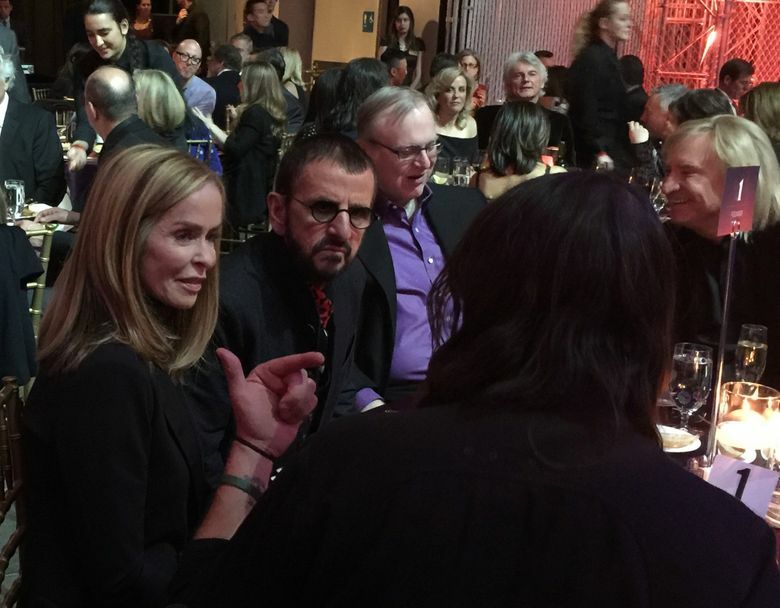 Two weeks ago, he and the surviving members of The Eagles were celebrated at the 39th Annual Kennedy Center Honors in Washington, D.C.
And last night, as snow swirled in Seattle, Walsh was feted by the likes of Ringo Starr, Dave Grohl and Taylor Hawkins of the Foo Fighters, guitar marvel Kenny Wayne Shepherd and rocker and producer Todd Rundgren as he received The Founders Award at the Museum of POP Culture. “I didn’t think anybody was going to come,” Walsh cracked in his signature, whimsical whine. The award was presented to him by Starr. The connection? The two men are in-laws. Starr has been married to Barbara Bach since 1981, and Walsh married Barbara’s sister, Marjorie, in 2008. The two musicians have appeared together a number of times, most recently last May during a show on Walsh’s tour with Bad Company. 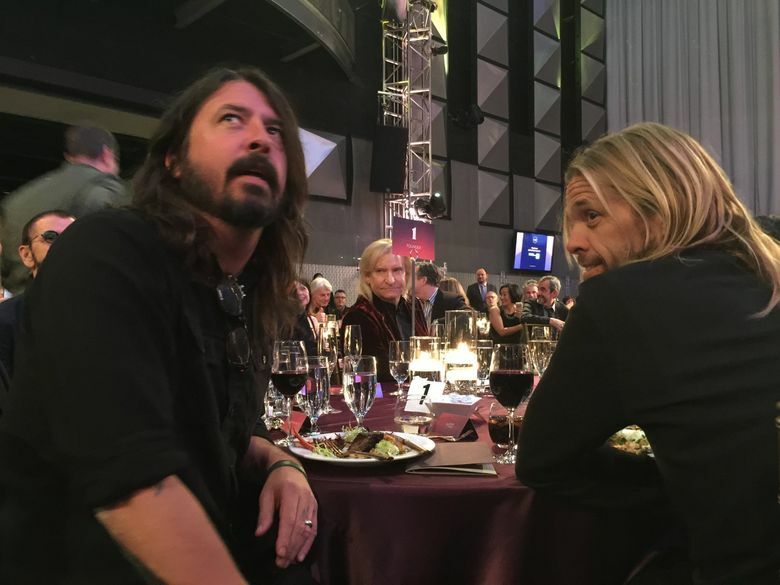 That recent tour explains why the celebrants included Bad Company frontman Paul Rodgers, who joined Grohl and Hawkins (Walsh made a guest appearance on the Foo’s 2014 album “Sonic Highways”), Shepherd, funk and soul artist Robert Randolph (who worked with Walsh on a solo blues album) and Rundgren, who — along with Walsh — is a member of Starr’s “All-Starr Band,” which he formed in 1989. Just two weeks ago, he and the surviving members of The Eagles (founder Glenn Frey died in January) received the Kennedy Center Honors, which recognize “lifetime artistic achievements.” The awards show will be broadcast Dec. 27. 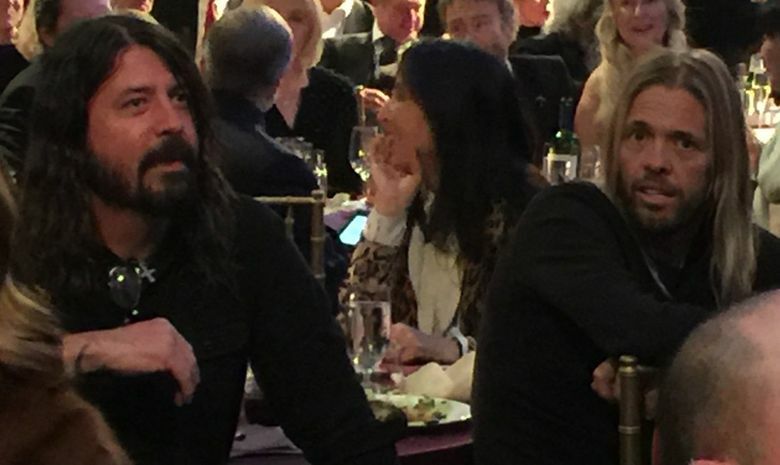 Also in the audience last night: Krist Novoselic of Nirvana and “Survivor” host Jeff Probst, who grew up in Bellevue. 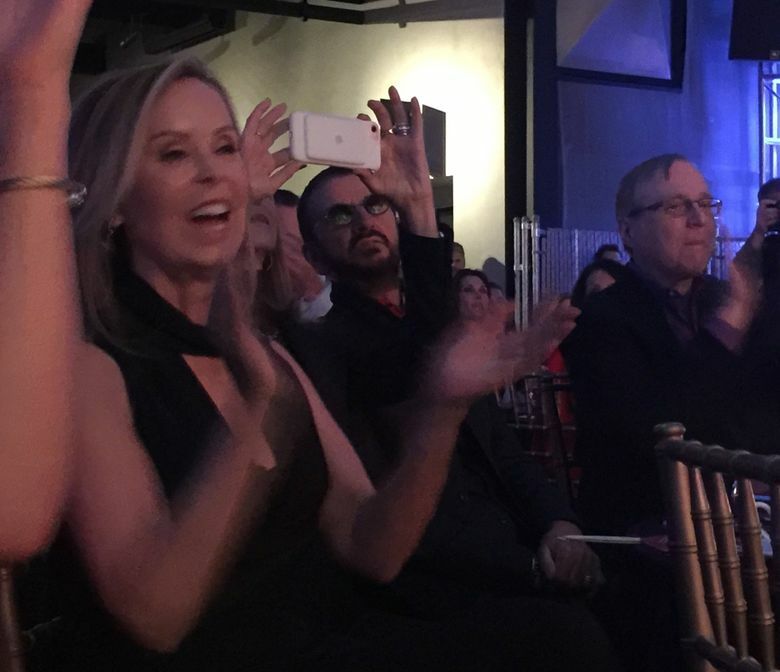 Video tributes from Keith Urban, James Taylor, Jeff Lynne, Ronnie Wood, David Crosby and Graham Nash were shown in between performances. 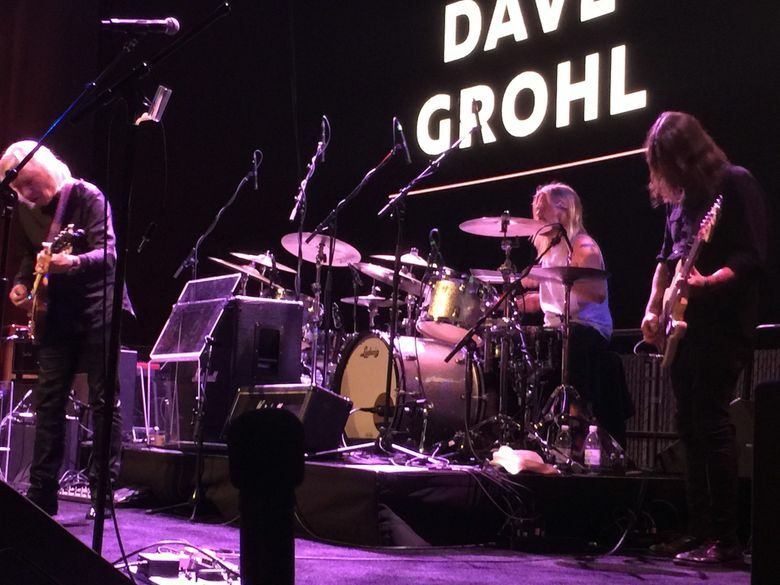 They included Rundgren’s wonderful rendition of “Life’s Been Good”; Rodgers singing “Life in the Fast Lane”; and Walsh performing “Walk Away” with Grohl on guitar and Hawkins on drums. “We rehearsed once,” Walsh cracked. Earlier in the day, Walsh met with students involved in museum programs, including the members of Electric Magnetic Pulse — or EMP — who performed at the awards dinner. “Everything he said had a lot of meaning,” guitarist Cameron Lavi-Jones said of Walsh’s visit. In his speech, Walsh reiterated the need for music programs like MoPOP’s. 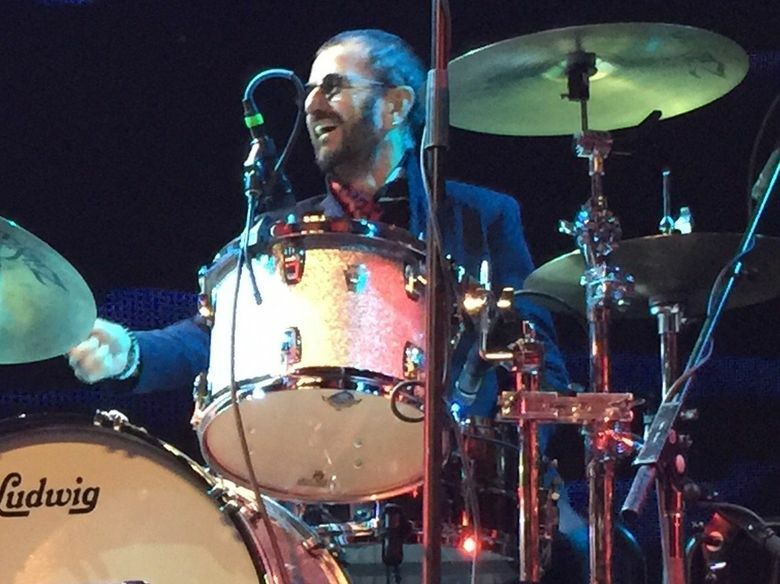 “They shut down music programs in public schools something like 10 years ago,” he said. “And now they’re going, ‘Geez, what happened to music? There’s no good songs anymore!’ Duh! That done, it was time to play music. “Rocky Mountain Way,” “Turn to Stone.” It went until midnight, while just outside the doors, snow covered Seattle.